Argan oil is obtained from the fruit kernel of the Argan tree, endemic to Morocco, and famous for its many benefits for skin and hair. The oil is usually cold pressed and used for cosmetic purposes. Argan oil is not only a good moisturizer, but it has been shown to reduce the amount of sebum (natural skin oil ). As a result, oiliness and acne are suppressed naturally. The oil can be used alone or added to a product. One could even use Argan oil make a hot oil hair treatment blend. Have dry skin and desire a dewy glow? 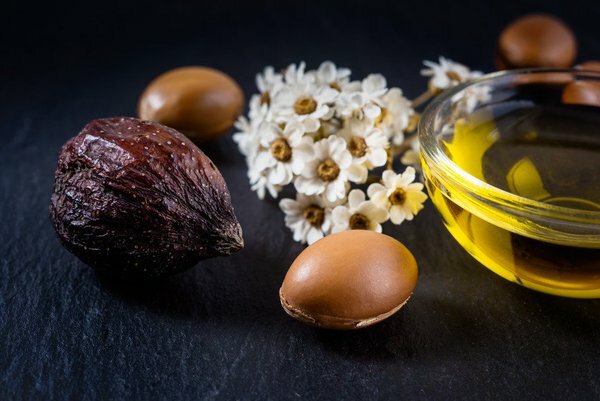 It is common beauty practice to add a drop of Argan oil to a foundation or tint, as Argan oil is also known to stimulate the renewal of skin cells and boost elasticity. Working cohesively with other skin-loving ingredients, Argan oil is as valuable as gold itself.